The cosplay community is full of professional and creative artists who set the bar on quality and craftsmanship. At most modern conventions, you will find a gathering of beautiful outfits, intricate weapons, sleek armor, and props scattered among the chattering fandom. Thanks to 3D Printing, the average Joe can join in on the fun as well! It didn’t take long for 3D printing to hit the consumer market. When it did, cosplay artists leapt at the opportunity to create their own unique designs, while others modeled their creations after known properties such as video game objects. In 2017, it’s common to find outfits supplemented with 3D printed components—armor, helmets, and shoulder pads are easily constructed with the new technology. People put their skills to use to make complicated weapons, futuristic gadgets, and magical artifacts; taking advantage of the technology to create the intricate details too difficult to manually construct. Sunday Cosplay makes full body armor suits using his 3D printers. Many people recognize his Princess Batman cosplay but his 3D printing skills shine in his other work. You can find Sunday Cosplay trumping through conventions in full sized Pikachu armor. Having been in the Co-splay business for over 3 years, Bindi uses 3D printers to make cosplay and armor. Her Nova Terra and Tracer cosplays are great examples of putting the technology to use. Variable works with many pop culture brands. You may recognize her Fallout or Tom Clancy’s The Division cosplays—both use 3D printed components. There are two essential components to 3D printing your own cosplay props—a 3D printer and an object to print. Some artists are fortunate to have a 3D printer in their toolbox but If you aren’t one of them, your journey isn’t over! There are plenty of consumer options readily available for those who don’t have a 3D printer. Some companies, such as FormLabs, offer affordable 3D printers for personal use. Buying a 3D printer isn’t an option for everyone, and sometimes the project requires a much larger device. In these situations, artists turn to custom 3D printing businesses. The process usually involves sending the business a copy of the 3D object file you need to print. They print the object using their 3D printers and send you the end result. 3D printing opens doors for creative artists to express their skills. It helps the community by bringing affordable, quality cosplay to more people and as the printing technology improves, it may become a common construction tool for modern cosplayers. So keep your eyes peeled for new artists, new creations, and amazing designs. 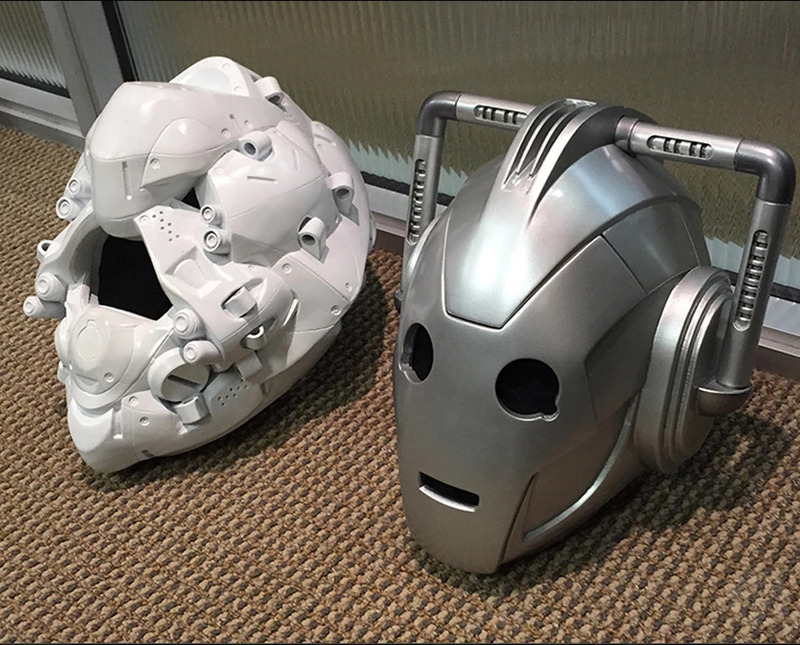 3D printing could be the new staple of modern cosplay!